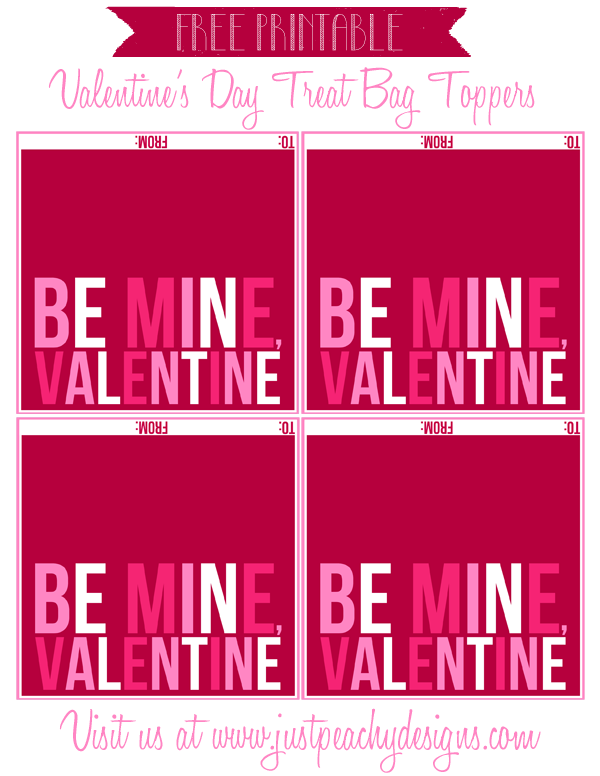 Here's a free set of printable "Be Mine, Valentine" treat bag toppers to use for Valentine's Day gift giving, classroom parties, etc. Just click the image below to download. 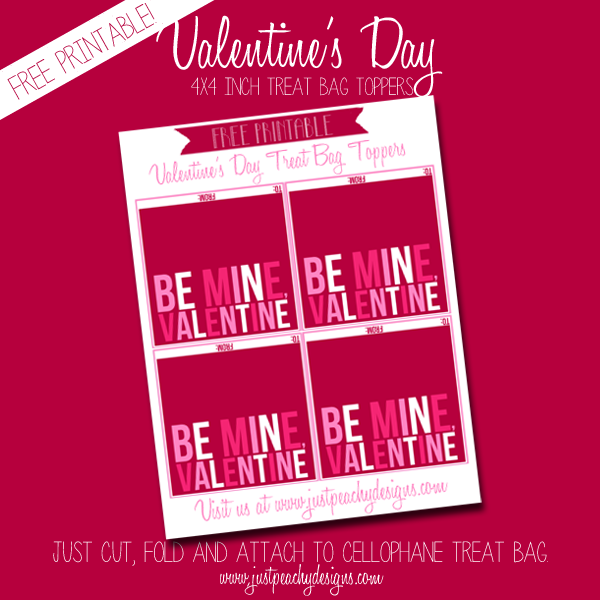 Print, cut, then attach to a 4 inch treat bag. Enjoy, and have a happy Valentine's Day!